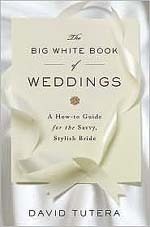 The Big White Book of Weddings - David Tutera - A How-to Guide for the Savvy, Stylish Bride. Entertaining expert David Tutera opens his files to reveal a wealth of detailed information about creating that perfect day, featuring advice about everything from wording invitations to negotiating with caterers, planning the meal to throwing an event on a budget. Signature Sasha: Magnificent Weddings by Design - Sasha Souza - You are about to embark on one of the most exciting journeys of your life. Your wedding is a day to celebrate your love, share your excitement with family and friends, and create beautiful memories that will last a lifetime. You might have a clear vision of your ideal wedding, or you might be struggling with where to begin. 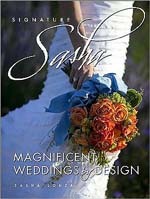 Either way, Sasha Souza can help you create a wedding that is more magnificent than you ever imagined. How to Plan an Elegant Wedding in 6 Months or Less: Achieving Your Dream Wedding When Time Is of the Essence - Sharon Naylor - It really is possible to take care of the countless details and madness leading up to your big day and create the event you always envisioned, even with the clock ticking? Yes! And you can enjoy doing it! Wedding expert Sharon Naylor gives an array of creative tips, clever shortcuts, and priceless secrets to make planning your wedding seamless. How to Have a Fabulous Wedding for $10,000 or Less: Creating Your Dream Day With Romance, Grace, and Style - Sharon Naylor - Don't worry. 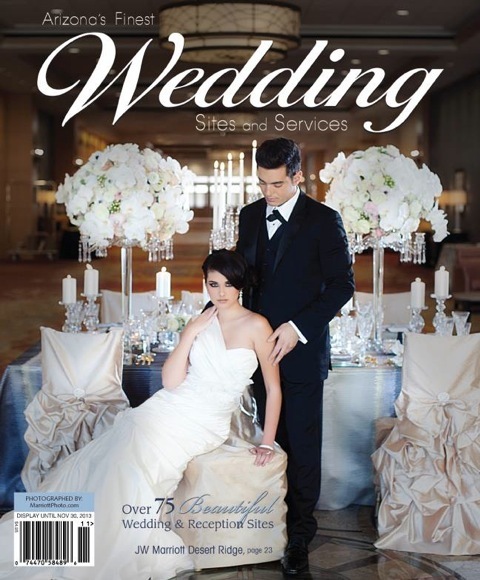 You don't have to spend a fortune to have the beautiful wedding you've always wanted. Although the average cost of a wedding today ranges from $20,000 to $30,000, you can easily pay a fraction of that! In this complete wedding planner, Sharon shows you step-by-step how to plan your dream wedding and still have money left over to enjoy a fabulous honeymoon or put a down payment on a house! The Complete Outdoor Wedding Planner: From Rustic Settings to Elegant Garden Parties, Everything You Need to Know to Make Your Day Special - Sharon Naylor - Whether you're thinking about exchanging vows on a sandy beach, a majestic mountaintop, or simply the friendly confines of your own backyard, you can enjoy the elegant, breathtaking wedding you've always envisioned. Sharon takes you step-by-step through planning the perfect outdoor wedding day - from special and important considerations for outdoor locations to creating a fabulous reception under the stars. The New Honeymoon Planner: Selecting the Ideal Location and Planning the Trip of a Lifetime - Sharon Naylor - On your honeymoon, would you like to swim with dolphins in the Bahamas? Climb pyramids in Egypt? 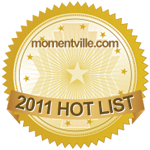 Relax on on the beach under swaying palm trees and a warm tropical sun? Whatever your getaway honeymoon dream, you'll find it in this book! all because you haven't taken time every day to think about all the things that are going well. This gratitude journal is for you! Search for more books by Sharon Naylor by clicking here. If you are considering writing your own wedding vows, you will find a list of books that feature excellent suggestions by clicking here.